The Arsenal supporters trust survey was released yesterday evening as many members, including myself attending the meeting in Holborn. I along with a few others tweeted many of the results but a full set of results can be found on the Arsenal Supporters Trust website. Many interesting points came out the meeting. 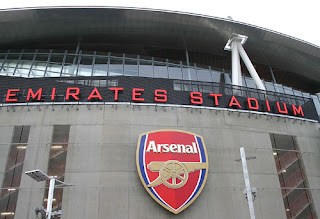 The current tour in Asia is worth about 2-3m to Arsenal which does not sound like much but it is about increasing the brand in Asia and is considered a long term plan. In terms of revenue, going further in competitions is very important. Just going one round further in the Champions League can be worth about 2-3m (with match day revenue, TV Revenue etc). The future of Cesc Fabregas and Samir Nasri is still slightly in the air despite Arsene Wenger saying Samir Nasri will stay and he is ‘hopeful’ Cesc will stay too. The Nasri debate was in full flow and it’s estimated that losing him on a free will just cost the club too much. The club may have to keep 20 odd million for a replacement next season which may mean it will not be spent this year. It does look likely Arsenal may gamble and hope they have a good season which will convince Nasri to stay. It’s a massive gamble. If he does not sign then selling him makes the most financial sense. I do think Samir needs to think long and hard about players that have left Arsenal and where they have ended up but at the same time, he may be waiting to see who else is signed before committing his future. Time will tell. As for next season, all the club level season tickets are sold out but 2000 season ticket holders did not renew and these were offered to people on the waiting list. From the list, only one in four took up the offer hence why so many people got offered season tickets. Many people who did not take up the offer have either forgotten they were on the list OR have started to share a season ticket (an option that has become quiet popular). We welcomed Gervinho to the club officially yesterday and I have a punt that this may mean Theo Walcott may just have a chance to play up front this pre-season as Gervinho is not an out and out striker but Theo has the composure and pace to be one. Just a thought. Farewell Gael - Thanks for the eight years.